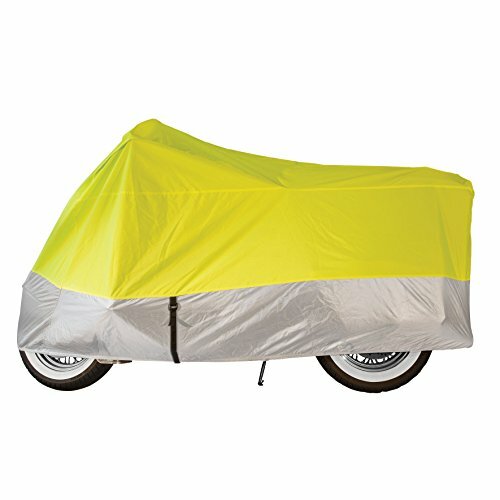 Maximize the visibility of your parked bike with a Hi-Viz, full-size travel cover. The Hi-Viz is added for security and night-time visibility. 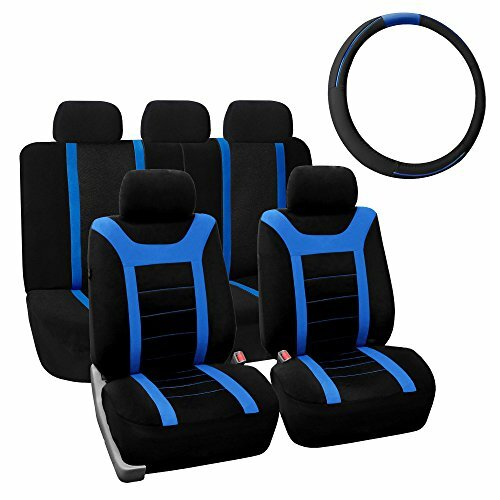 The cover is made with a 300D polyester with polyurethane and mildew resistance. It’s not waterproof, but very close. . A sewn-in vent flap allows unwanted moisture to escape from underneath the cover. Soft cotton is used to protect the windshield from scratches. An elastic shock cord is sewn into the bottom of the cover to provide a snug fit. 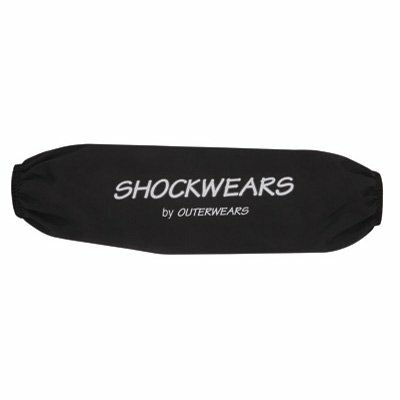 There is also a polyester webbing belly strap sewn-in to prevent the cover from coming off in high winds. 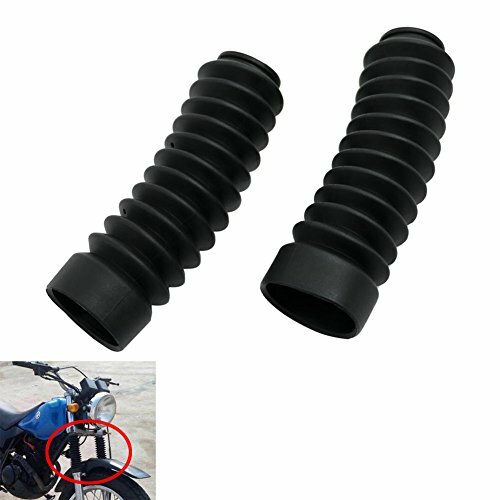 Plastic grommets allow the use of a cable to lock the cover to the bike. A storage bag is included for quick and easy storage. 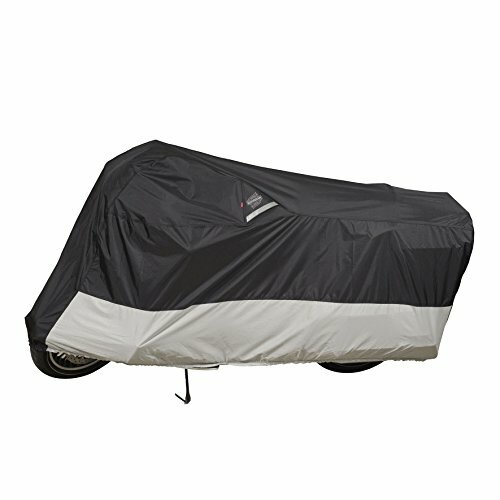 Dowco Guardian X-Large Traveler Half Motorcycle Cover is designed to protect the top half of your bike. 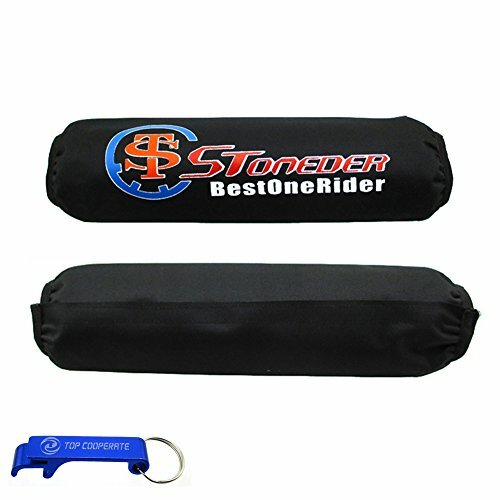 Great for travel usage, if you're tight on space or for a quick get-a-way in the morning. 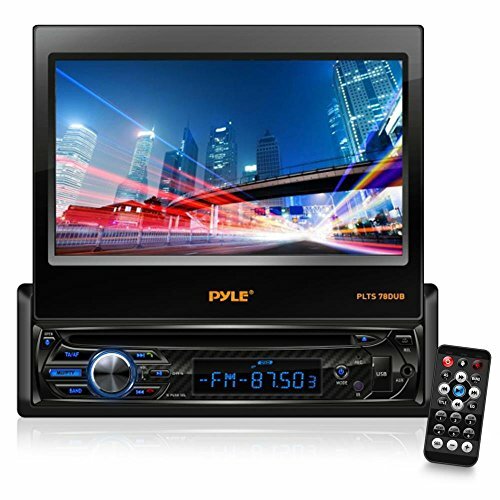 Keep dew off the windshield, GPS mount, gauges, custom instrumentation and seat. 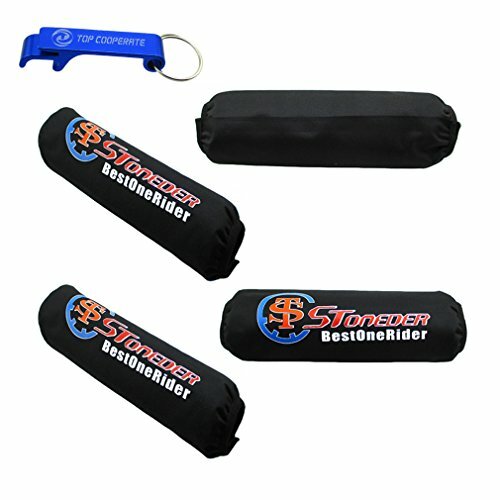 Quick install with elastic attaching loops and foot peg straps for attachment; fits most sport bikes and small cruisers. The method you choose to store your ride and gear is a critical decision. Storing it outdoor, indoor or both, you need to consider factors like waterproof and water resistant options, as well as fade resistance and security factors. 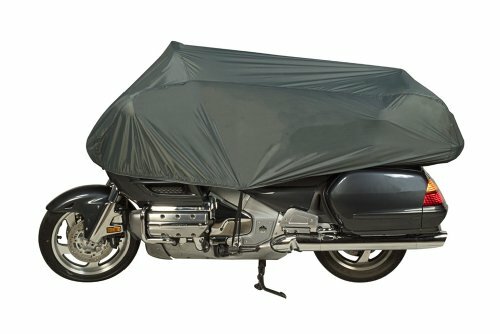 The Dowco 50005-02 WeatherAll Plus motorcycle cover is waterproof, breathable, and helps protect against rain, mildew, and fading caused by the sun's UV rays. Constructed of heavy-duty ClimaShield Plus fabric protection, a 300 Denier, and solution-dyed polyester fabric with a durable water-repellent top coat, it provides maximum rain and UV protection. The reflective Moisture-Guard vent system gives added nighttime visibility and allows for moisture to escape, preventing build-up under the cover. 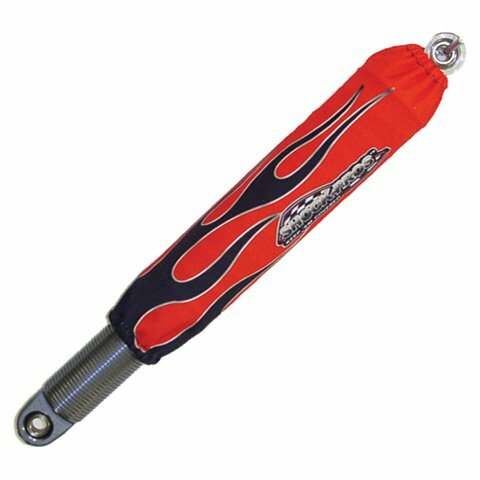 Features stitched seams that are taped to ensure maximum waterproofness as well as a polyurethane and mildew-resistant undercoating. A soft cotton protects the windshield and a heat shield is used to protect the cover from warm pipes, allowing immediate use after riding. 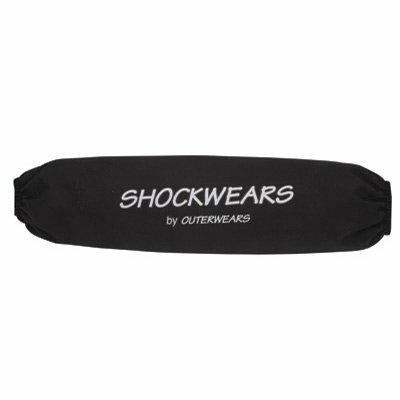 An elastic shock cord and a polyester webbing belly strap are sewn into the bottom to provide a snug fit and prevent the cover from coming off in high winds. 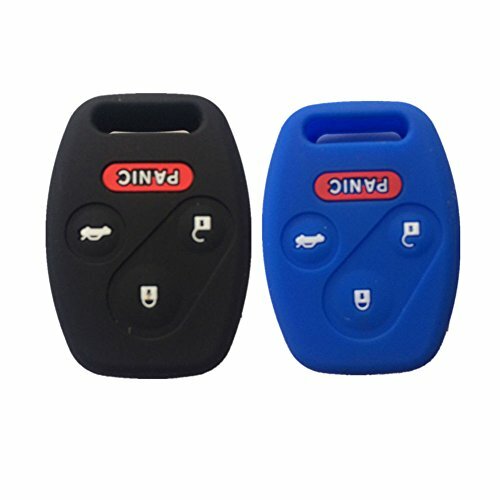 For added security, the cover includes a sewn-in hold for a wheel lock to be passed through, as well as a sewn-in alarm pocket for a Guardian Cover Alarm (sold separately). The Dowco 50005-02 WeatherAll Plus cover includes a compression storage back for easy, convenient transporting, and a limited lifetime warranty. 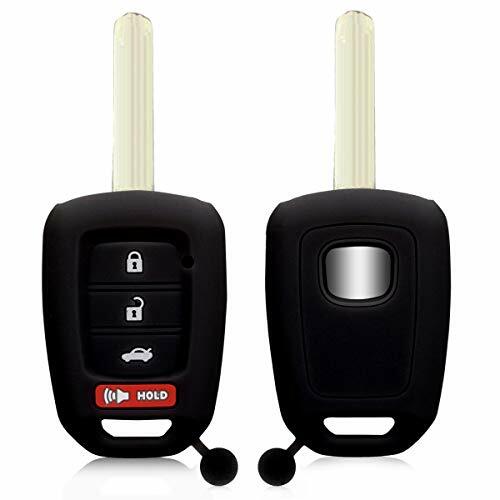 Product Description: Conditon: New Quality: Guaranteed Good Quality. Promise: Always Responsible Customer Service. 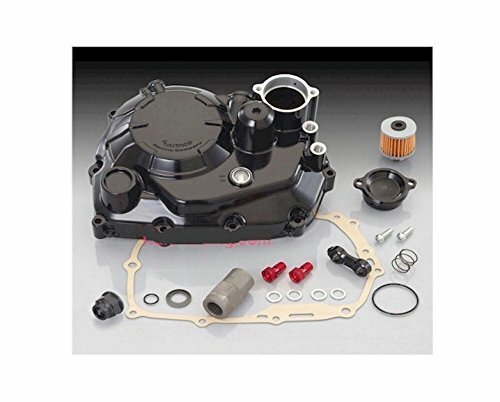 Quantity: Including All Of The Parts In The Listing Pictures. 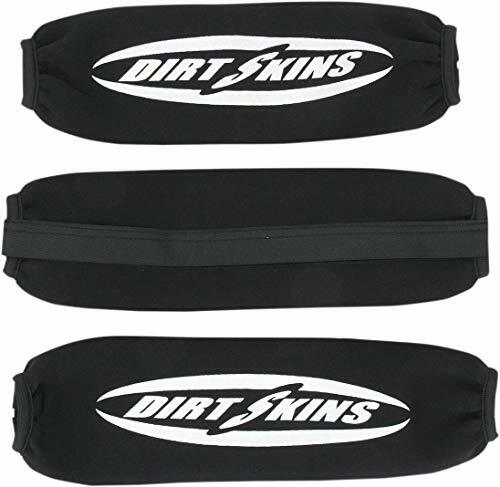 Fitment: 350mm Length Shock Cover Suspensione Protector Absorber Skin For TRX450R Honda Prefator Polaris YFZ450 YZF 450 ATV Quad SMC Barossa Quadzilla Stinger 150cc - 520cc ATV Quad Suzuki LTZ400 LTZ 400 LTR450 LTR 450 Arctic Cat DVX400 DVX 400 ATV Quad Kawasaki KFX400 Also Work With Many Other Models of Honda Yamaha Kawasaki Suzuki Measurements To Use In Comparison For Other Applications - Length: 350mm, Circumference: 300mm. 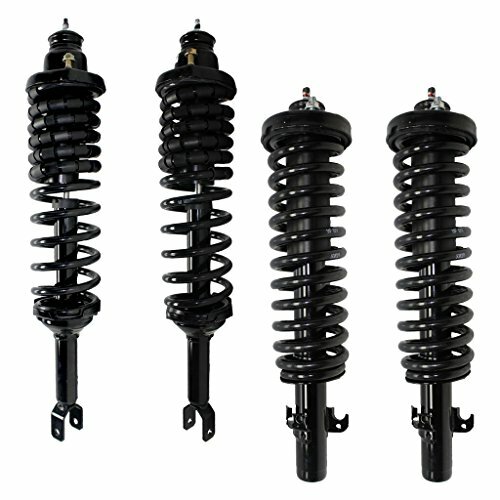 (NOTE: When Measuring, Shock Cover Fits Over The Spring NOT The Entire Length Of The Shock Body). 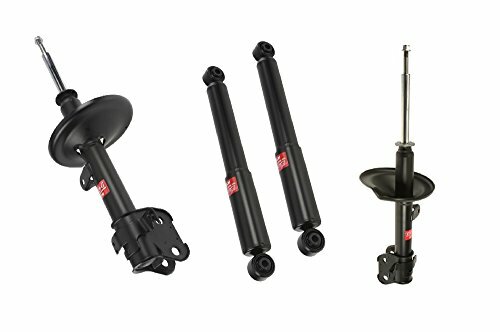 x2 Strut and Coil Spring Assembly - 531875 x1 Strut and Coil Spring Assembly - 531241L x1 Strut and Coil Spring Assembly - 531241R Fitment: 1990-1993 Honda - Accord Detroit Axle is a leading supplier of ride control products to OE vehicle manufacturers Nationwide, that expertise translates to Detroit Axle's OE-quality Aftermarket. 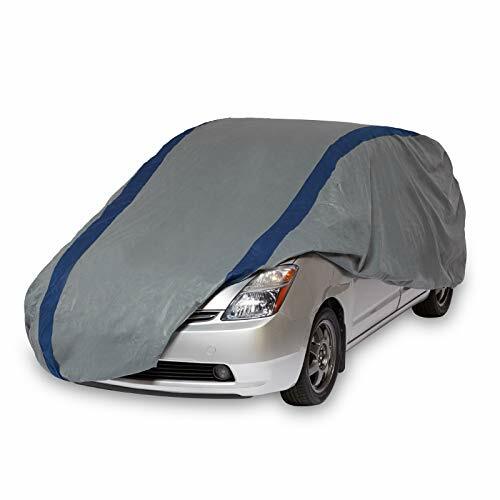 Duck Covers Weather Defender Hatchback Cover for Hatchbacks up to 13' 5"
Perfect for all-weather protection and storage for your hatchback. Duck Covers Weather Defender semi-custom covers are made of a triple-layer, water-resistant material that does not trap condensation but allows condensation to escape through evaporation. Ultrasonically welded seams improve water resistance. Protects against dust, dirt, pollution, bird droppings, tree sap and UV fading. Elasticized bottom hem for a secure, custom fit vehicle cover. Non-scratch tie-down grommets and rope. 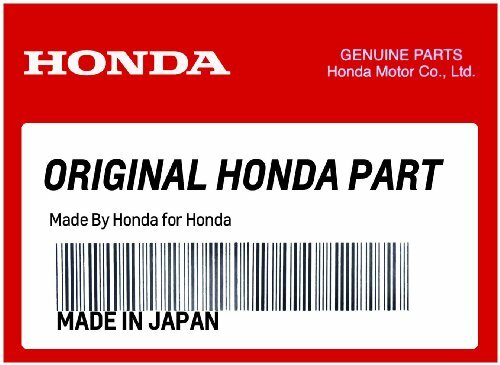 Four-year limited warranty.